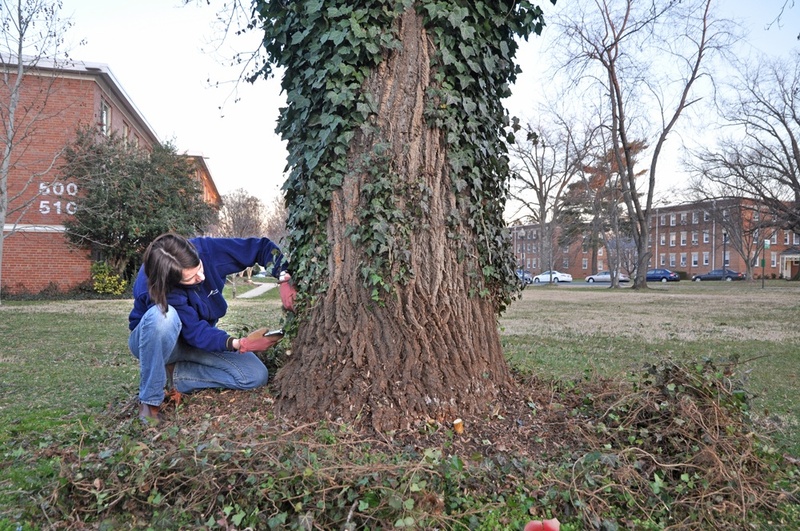 It’s easy to sever all the ivy vines at the ground and remove them from the ground around the tree. Are you seeing oaks, maples, and other deciduous trees whose leaves have all fallen, but they are still covered in greenery? Look closer and see if they are being overtaken by English ivy vines. Since March of 2012, TreeStewards have educated over 500 people on why ivy is harmful to trees and helped remove ivy from 1300 trees. Click on the bright green “Choking Hazard” box to the right for information on how you too can make a difference. Winter is the perfect time to see and remove English ivy.